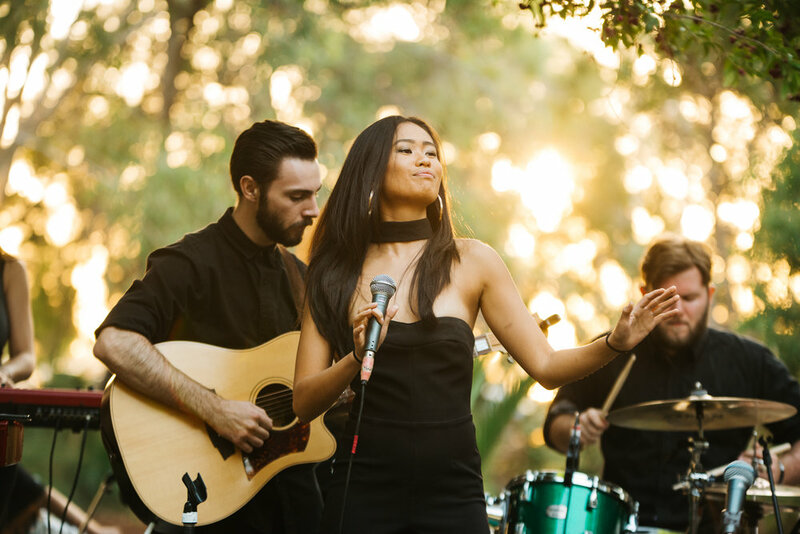 This month we chat to the talented Nicholette C who is making her PERTH FRINGE FESTIVAL debut with a musical account of her journey as an Asian Between Cultures growing up in Australia. As Nicholette talks traditional career choices (or lack thereof), awareness of Asian representation, and personal fulfilment, she also touches on how her show reconciles these issues along with the grappling between two (or more) cultures through her favourite medium - music. Hi Nicholette! Thanks for chatting with us today. Firstly - what’s your story growing up as an Asian Between Cultures; an Asian girl in Australia? Hey, happy to be here! Mine’s pretty simple, I was born in Singapore, where both my parents were also born, and we moved here (Perth) when I was 12. I started high school at the start of the school year with everyone else so that was a relatively easy transition (not being the “new girl” in school). Being Singaporean I could already speak English (albeit with the accent), so I didn’t have to learn the language. I just picked up the nuances and slang here pretty quick to try and fit in. What impact have these experiences had on what you’re doing today? The fact that I could go to a performing arts school and pursue a creative career is in part due to the fact that I live in this country. I really don’t know how everything would have turned out if I stayed in Singapore. I honestly think I would be on a very different career path and living a very different life. What did you want to be when you were younger? Is it close to where you are today? I grew up very interested in music and performing arts. My parents never pressured us (surprise) and I was the only one out of the three of us to pursue my love for ballet, piano, and performing arts. I always loved being on stage and harboured a secret dream to be in a famous musical or something in the arts. I just never thought it was really plausible or practical – not by my parents’ doing, they were always supportive of anything I wanted to do – it was just Singaporean societal standards ingrained in my mind, that this “sort” of career was just out of the question. I guess I went a roundabout way to get to where I am today, after a lot of painful self-discovery, being brutally honest with myself, and how I wanted to spend my time on this earth. Have you ever felt pressure to pursue a more ‘traditional’ career, one other than music? If so, how have you wrestled with that? I wouldn’t say I felt pressure from anyone apart from myself. I had these naïve ideas of what “success” looked like - being in a glamorous office, climbing up the corporate ladder, etc. I actually have a Bachelor of Commerce and worked in a top tier accounting firm for a couple of years, funnily enough. I was always very academically driven, but didn’t realise that learning about something in a classroom is very different to actually dealing with it in the real world. It was crushing really, wrestling with the fact that I was right on track with my timeline to buy a car, buy a house, get married, do all the right things; and yet I was inconceivably miserable. I hated the work that I did and I hated the lack of purpose in my life - and all this by the age of 21 (I started working full time at 18). It was really tough but after taking some time off (2 gap years, to be precise) and some serious reflection, I decided to audition for WAAPA in 2013 and the rest is history. Tell us about your upcoming performance, ‘Diary of a Racially Confused Girl’. What was the driving force behind creating the act, and how did you go about developing it? FRINGE WORLD is a big part of the music and arts scene in Perth, it’s a huge burst of shows every year that absolutely anyone can participate in. I was chatting with a couple of friends about show ideas and getting involved, and it struck me – there’s a dire lack of representation of Chinese and overall Asian culture in the FRINGE WORLD music section, even though it falls on Chinese New Year pretty much every year. FRINGE WORLD also gives people the freedom to embrace their uniqueness and differences, and I guess it is one thing that is sort of unique about me (which is bizarre, really). But I thought I would just go for it and ride the whole “Crazy Rich Asians” wave. So after speaking to a few fellow ABC friends and getting an overwhelming response, I decided to pitch it to the venue and apply to FRINGE WORLD. It started with a basic idea of bringing in traditional Chinese instruments (Guzheng, Yangqin, Erhu, Dizi) and fuse them with a standard contemporary band. I would rearrange songs to have an “oriental” or “fusion” vibe, and make a few jokes about my accent and my love for rice. The thing is, the more I read up on diversity, model minorities and representation, the more fired up I got. You could say it’s been a steep learning curve for me. I basically go into a Google deep-dive every night reading articles about intersectionality, watching YouTubers talk about their piercingly familiar experiences growing up as ABCs, finding the flood of blogs and social media posts in response to Crazy Rich Asians. It feels as if the glass ceiling finally broke and our community can now openly share our experiences of balancing our cultures with immigrant parents and growing up here. It’s amazing. Who is your show’s intended audience? I want it to be for everyone. For ABC’s who can relate to all my lunchbox moments, as well as non-Asian partners or friends who could maybe learn a little bit about our complex identities and daily struggles. I do expect there to be a sea of Asians in the room, though. And a few people have told me that they’re bringing their parents too, which is cool! Is this the first time you’ve done a performance touching on themes of being an Asian Between Cultures? Are you planning to do more? Yes, it is. It’s actually my first solo FRINGE show ever. And YES, I am definitely planning for bigger and brighter things with this project in the future. But I usually get ahead of myself – so I’m trying to take it one step at a time. What do you hope to achieve through your performance? I want to create a platform that spurs conversation and awareness. I also want to be authentic while still being entertaining, so hopefully I don’t come across too preachy or aggressive. I haven’t faced discrimination nearly as extreme as many other races would have, but I just want to highlight the little things that I have wrestled with internally and how I got to the place where I am now – I have never represented myself more as an Asian woman than I do today! But I also really want people to laugh and have a good time, to see their story in mine, to leave with a smile and a brighter hope for diversity and inclusivity. What advice would you give to ABCs reading this who want to pursue a creative career? I was really blessed with parents who never pressured me to be a doctor, or a lawyer, or an engineer. They supported me in every endeavour I undertook as a child and still do, to this day. Without a doubt you’ll see Uncle Thomas and Aunty Joolee in the audience at the show. My mum is even making spring rolls for everyone. So I can’t shed any light on overcoming the hurdle of parental expectations because I never had to. At the end of the day, my passion and undying love for music and performing outweighed the financial security of a “proper” job. So once I got over that, it was easy to drop everything else and dive in, head first. It hasn’t been a smooth ride though, it is a tough industry and you have to be prepared to work really, really hard and have your soul crushed, more than a few times. I work longer and later hours than I did when I was an auditor at the end of a financial year, but I love it every single day. And you really can carve a sustainable career for yourself and still get to travel, buy a house, do all the things to placate your Asian expectations, if that’s what you want. I will say that I will never look back at what could have been – the fulfilment that I get from my work every day, singing and playing music, far exceeds anything that I could have imagined sitting at my office desk 6 years ago, and I don’t regret it for a second. So if you’re at the crossroads now of picking between a traditional or creative career, if you know you have the passion, drive and perseverance to stick it out in this path, do it. Put everything you have into it and trust me, you won’t look back. Born in Singapore and raised in Perth, Australia, Nicholette C is a bicultural blend of soul and sass. The things that matter most to her are her family, her faith, her piano, her coffee, the ocean, all things nature, and mostly her coffee. Check out Nicholette’s website here and find her on Facebook and Instagram. Diary of a Racially Confused Girl is part of the PERTH FRINGE FESTIVAL. Click here to grab tickets and support a fellow ABC (be quick, they’re selling fast)!